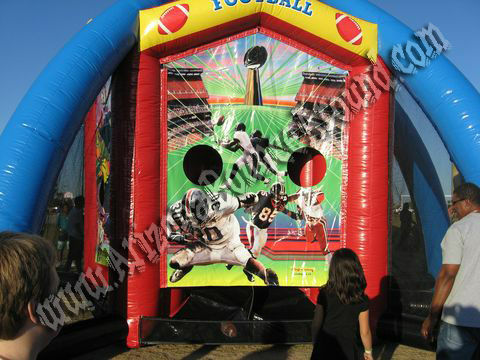 This 5 station sports game is an amazing 21 feet tall and makes a great center piece at any event. 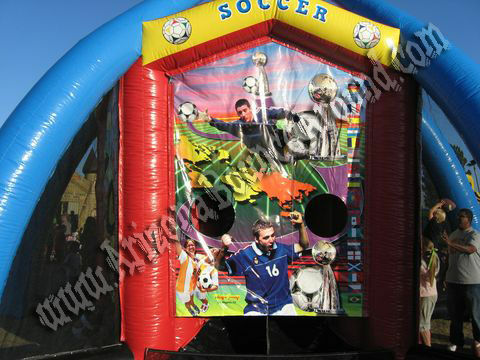 Everyone loves sports games so why not rent a game that 9 people can play at once including kids and adults. 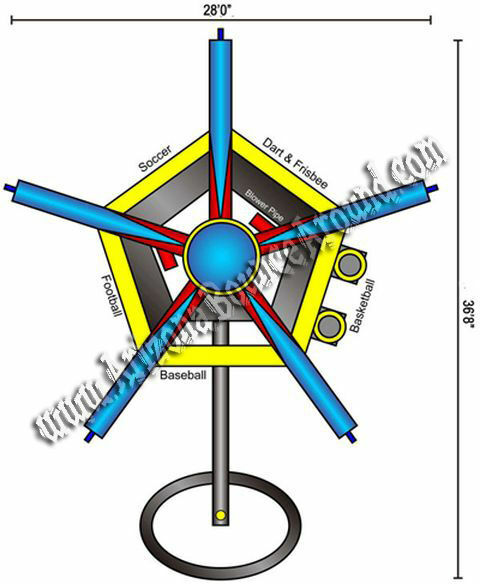 This game is perfect for company picnics and activities for employees or kids and is really popular at school and church carnivals. 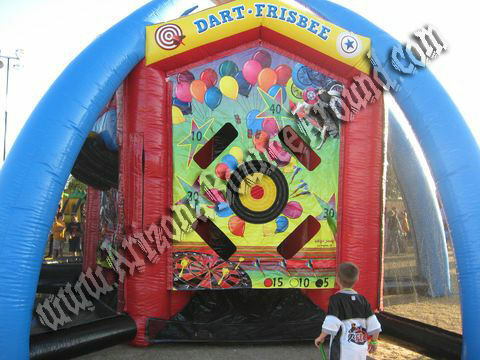 This Inflatable sports game comes with complete with all the balls, darts and frisbees needed to play all 5 sports games at the same time so rent one today for your next party or event. 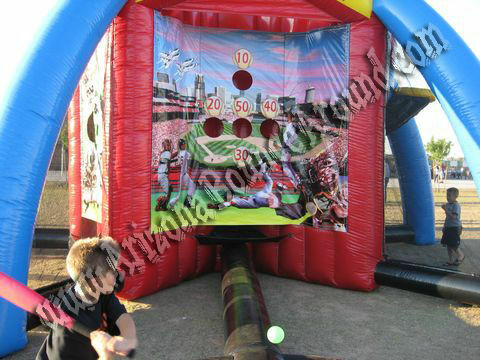 This sports game rental price includes standard set up. 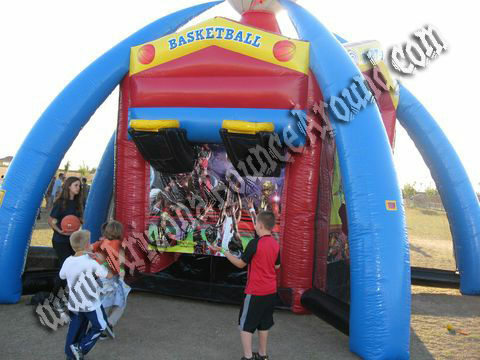 Standard setup is considered an area within 80 feet of sufficient electrical supply. 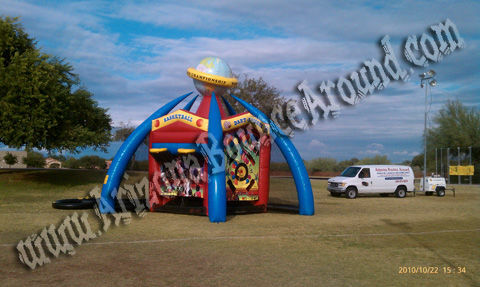 delivery and removal within included delivery area with no restrictions for delivery, set up or pickup.